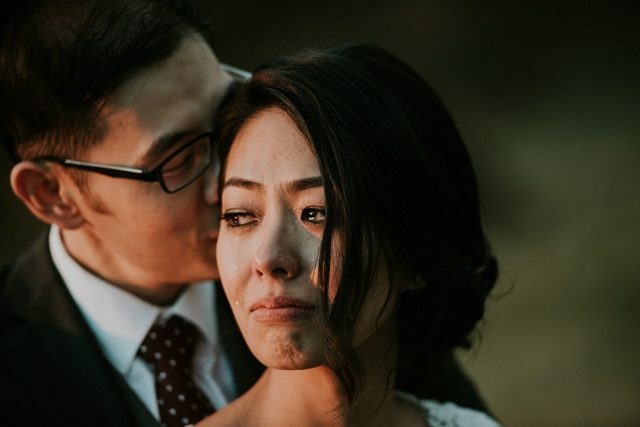 Earlier this year, an emotional wedding photo of a couple went viral after James Day Photography had shared it on Facebook. The said image has already had over 277,000 reactions on Facebook and 15,000 likes on Instagram, a proof that it has indeed moved a lot of people all over the world. What Adrian whispered in Roslyn’s ear remains unknown. But whatever it is, we’re sure that it’s something truly lovely and powerful–enough to bring Roslyn to tears. Indeed, this photo is able to capture how magical love is! After this photo had gone viral, the photographer also shared more images of them (all accompanied by moving stories), on his Instagram page. It was the night before my dad died. I was sitting impatiently in the hospital waiting room while some of his friends came to visit him. I was confused and feeling helpless. I was 14, about to lose my dad and my best friend. I had so much uncertainty about what life was about to serve me. I walked up to a nurse and said “I just want to talk to my dad”. They said “would you like me to ask the people to leave? I said “can we do that?” Before I knew it, I was sitting with my dad alone for the very last time. For about an hour he was alert and conscious. I asked him, “Dad, what do you wish you did differently? What should I do when I grow up? Why is this happening to you? He said to me, “Jimbo, don’t get yourself a desk job. Go do something you love. Everyone will tell you to go to uni and sit behind a desk”. I asked my dad, the university lecturer, the book publisher, conference presenter, “what do you wish you did” he answered “I wish I was a photographer or a tv camera man”. I also sat with him the moment he died. It was 9:03am on the 19th of April 1999. Often it’s the moment before the moment that leads us to ask question and gives us a chance to really question what is important. That’s what I often look for when I’m photographing… not the moment when it all comes together, but the moment just before. The image I’m sharing with you today is the very next moment after Roslyn and Adrian’s iconic image that circled the globe last month. While it’s powerful, beautiful and engaging it doesn’t leave us with the same questions that the original does. But sometimes we need both to leave us with a sense of completion and finality, so that we can move on. Last night I shared a story about how I was photographing a grand sunset scene… This is what I shot before everything changed. He even met with them in Iceland, where he happened to be at the same time the couple was there for the honeymoon. On the wedding day I asked Roslyn and Adrian where they were headed for their honeymoon… “Iceland” was the answer. I then asked when they were leaving… “Tuesday” was the answer to that question. It turned out that I was literally going to be in the same place at the same time. So… I got working and decided to have their photos ready so I could surprise them with a slideshow – made with @smartslides – in Iceland on a black sand beach. Since then we’ve bumped into each other on two other occasions! How crazy is life!